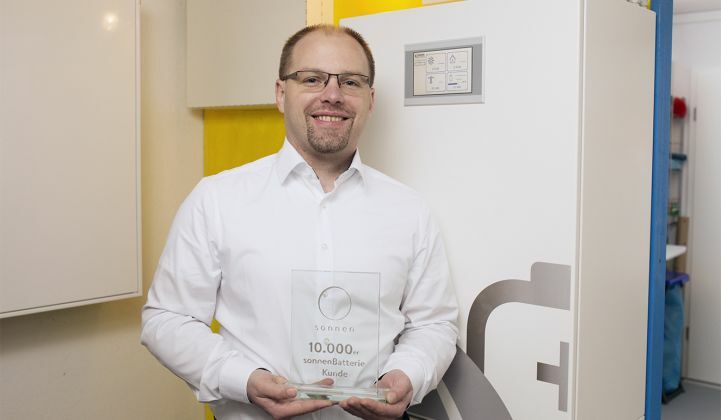 Sonnen marked the milestone by gifting German homeowner Stefan Wolpert an extra 2 kilowatts of battery capacity and a free membership to sonnenCommunity -- Sonnen’s decentralized energy trading platform. The shipment announcement comes on the heels of the startup’s expansion into the U.S. last month, with a new headquarters unveiled in Los Angeles and a rapidly growing distribution network. Sonnen has already partnered with 30 local solar installers and aims to reach 100 partners by the end of the year. In early February, Sonnen announced that it is now ready to install systems in Hawaii after meeting the advanced energy storage requirements from the Hawaii Electric Companies (HECO). The sonnenBatterie, which comes fully equipped with smart energy management technology, is billed as an “out-of-the-box” solution that meets the obligations under HECO’s new distributed energy tariffs. Company executives say a 4-kilowatt-hour sonnenBatterie in Hawaii will cost about $10,000 and provide a return on investment in as little as 6.5 years. At the outset, Sonnen is targeting sales to solar customers in places with high electricity costs, like Hawaii and Puerto Rico. California is another promising market, where storage benefits from incentives and can help solar customers arbitrage time-of-use rates. 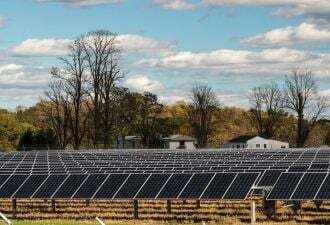 But the company ultimately sees batteries offering financial and resiliency benefits across the U.S., and is currently working with Spruce to offer attractive financing packages for energy storage in all 50 states. Sonnen already has 1,000 battery storage systems under contract in the U.S. and aims to contract for up to 3,500 systems through the year. As Sonnen increases its U.S. presence, it continues to grow sales in seven European countries, Australia and the Philippines. Sonnen is not the only company seeking to empower customers through energy storage, however. Tesla and several other contenders are also making major energy storage plays. Tesla did not respond to a request for specifics on battery shipments. However, the company has confirmed making its first battery shipment to Australia and is “starting shipments of Powerwalls and Powerpacks worldwide,” said JB Straubel, Tesla’s chief technical officer, on a recent earnings call. Tesla spent $500 million on its battery business in the fourth quarter of 2015 -- primarily to build the Gigafactory in Nevada -- as part of $1.6 billion in capital expenditures for the year. Energy storage stands to be a big earner for the Silicon Valley company, which offers products for residential, commercial and utility-scale applications. Sonnen, in contrast, is only targeting homes and businesses. CEO Elon Musk said Tesla sees energy storage as an “exponential market,” but added that it’s too soon to tell when the market would start to benefit the company’s bottom line. “It’s early days to understand how that exponential growth is going to integrate,” echoed Straubel. While executives have been hesitant to give projections, Tesla appears to have laid a strong foundation for growth through its marketing and public relations efforts. In Australia, where Tesla faces more than a handful of residential energy storage competitors, local installers report strong consumer interest. Somewhat ironically, Tesla’s success has been a win for Sonnen. While Tesla boasts a strong brand, Sonnen has the advantage of a proven product that has already been deployed in thousands of homes, said Greg Smith, senior technical trainer for Sonnen. “I like it every time Elon Musk makes a statement, because then more people ask me about sonnenBatterie,” he said. When customers do the research, they’ll find that Sonnen offers a safer lithium-iron-phosphate battery chemistry, with a much longer cycle life, at a lower cost, said Smith. However, regional differences and a lack of transparency have made true cost comparisons complicated, to say the least. The shipment of Sonnen’s 10,000th battery doesn’t only heighten the competition among energy storage companies; it also puts pressure on utilities. Last November, Sonnen announced sonnenCommunity, a network of producers, consumers and storage operators that can trade self-generated renewable electricity with each other through a virtual grid, circumventing traditional utilities entirely. SonnenCommunity launched in Germany, where the bulk of Sonnen’s customers are located. Customers in the network currently pay 20 percent less for electricity (roughly 23 cents per kilowatt-hour versus 30 cents per kilowatt-hour). Sonnen can offer cheaper rates because it doesn’t need to earn a margin on the electricity sales -- the company’s aim is to sell storage systems, said Sonnen CEO Christoph Ostermann. Sonnen doesn’t need a return on investment because it doesn’t own the storage systems; the customers do. Smart meters are an essential part of the network, but the secret sauce is Sonnen’s advanced software that’s able to manage peer-to-peer energy exchanges in real time. There are currently a few hundred customers in Germany’s sonnenCommunity, which the company aims to grow to 10,000 customers by the end of the year. Next, the startup plans to bring its platform model abroad. The energy market in Germany is different than in the U.S. -- it’s highly deregulated, with very high penetration of renewables and relatively high electricity prices. von Bormann said his company plans to expand sonnenCommunity on a global scale; however, the U.S. regulatory framework makes that vision “a little harder” to implement. In the U.S., Sonnen might be better served by partnering with utilities to strengthen the grid, rather than attempting to bypass them. 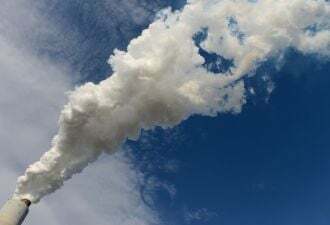 According to von Bormann, the company is already in discussions with several American utility partners.